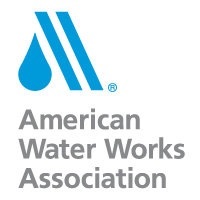 (DENVER) – (RealEstateRama) — The deadline for early registration for the American Water Works Association’s 2017 Annual Conference and Exposition (ACE17) is this Thurs., March 30, at midnight EDT. ACE17 will be held June 11-14 in Philadelphia, Penn. Interested conference attendees are encouraged to register early to save up to $200 in registration fees. Additional registration options and discounts are available for legal counsel, public officials, operators, students and small utilities. • Public health issues with source water protection. More than 450 exhibiting companies specializing in engineering, manufacturing, membrane filtration systems, laboratory equipment, security and wastewater will showcase products and services at ACE17. Exhibitors will also participate in roundtable solution sessions in the exhibit hall. The exhibit hall will have expanded education sessions on wastewater and collection systems management, poster sessions, and entrepreneurial sessions from water start-ups. Networking opportunities for attendees will be at the Career Center Job Fair, young professionals and student events, diversity events, and competitions including the People’s Choice and “Best of the Best” Taste Tests, Pipe Tapping, Meter Madness and the new Hydrant Hysteria. To learn more about the conference agenda and to register, visit the ACE17 webpage. Media note: Accredited members of the media may attend ACE17 at no charge. However, they are required to register with AWWA Public Affairs. For media registration, please visit the AWWA press room or contact ">Deirdre Mueller at 303-347-6140.